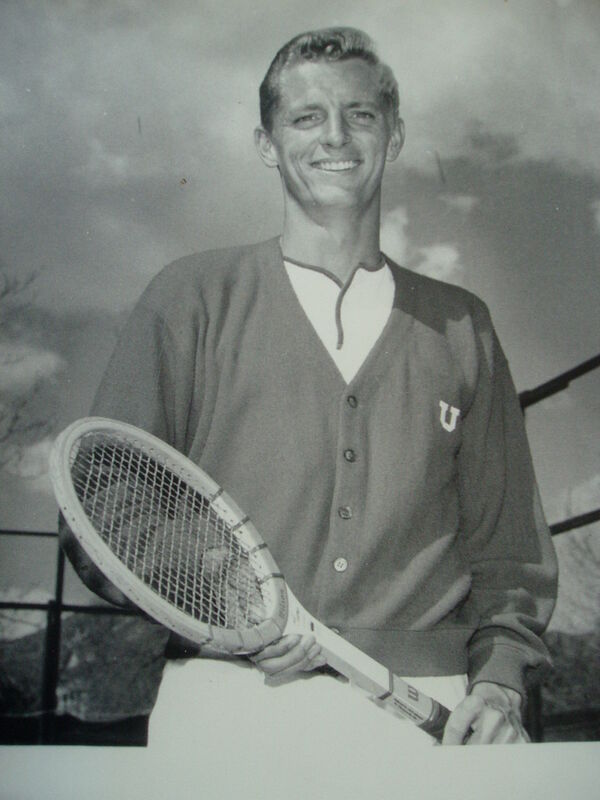 Skip Sedivec, as a 5th year senior in 1964/1965, would go on to an undefeated season and a WAC Singles Title at No. 6 singles. In the 5th edition of our “How is…?” section we have the privilege of featuring Skip Sedivec. Born and raised in Boise, Idaho, Skip originally committed to and played two seasons at Colorado State University in tennis and basketball. But, after a coaching change at Colorado State and a meeting with legendary Ute coach Harry James, Skip would make the life changing decision to join the University of Utah in 1962. Due to NCAA regulations at the time Skip had to redshirt the 1962/1963 school year, but he competed for the men’s basketball and men’s tennis teams in 1963/1964. As a 5th year senior, he decided to focus on tennis only, with great results. Skip had his best season, going undefeated at No. 6 singles beating UCLA, USC, Cal Berkeley, BYU and many others. That year, the U went on to win the WAC conference championship as a team, while Skip won the No. 6 Singles Championships and was the runner up in the No. 3 Doubles Championships. In 1965, he earned a Bachelor’s degree in Exercise Science and a minor in biology. After having exhausted his eligibility and with a degree in hand, Skip taught science and math at Bonneville Junior High in South Salt Lake, while earning a Master’s degree in Exercise Science from the University of Utah. 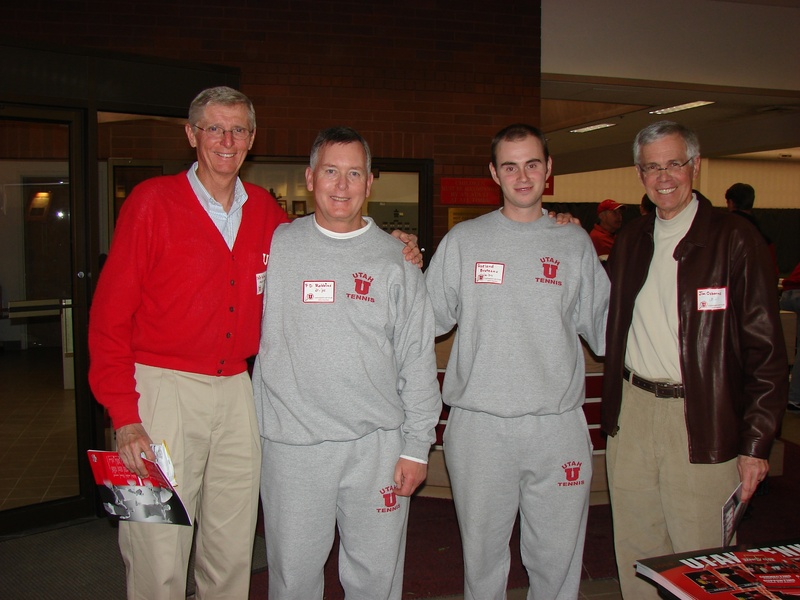 Skip Sedivec (left), current head coach FD Robbins, current assistant coach Roeland Brateanu and Hall of Famer Jim Osborne (right) at a Utah Men’s Tennis reunion in 2008. He moved to Chapel Hill, North Carolina in 1970 and earned a Ph.D. from the University of North Carolina at Chapel Hill in Zoology. After having spend time as a Research Associate at UNC (Physiology: 1977), Duke University (Physiology: 1978-1980) and Stony Brook University (Neurobiology and Behavior: 1980-1984), he accepted a tenured position at the Department of Biology at Appalachian State University in North Carolina in 1984. In 2007, after 22 years at Appalachian State, Skip retired and moved back to Utah. He currently resides in Park City, Utah with his wife of 20 years Carol. They have three children and four grandchildren. Question: Skip, thanks for joining us today. Let’s take a look at your time at the U. How do you look back at it? Sedivec: I look back on my time at Utah as being very special and with very fond memories. The members of our team were a bunch of really great guys. It has been a pleasure reconnecting with many of my teammates after retiring back to Utah. This time also provided me with an opportunity to get my B.S. and M.S. degrees which then allowed me to continue my education in earning a Ph. D degree. Sedivec: Probably helping the tennis team win the WAC conference in the 1964-65 season. Question: How did your membership of the men’s tennis team affect your career? Sedivec: Being on the tennis team had a great effect on my academic career. During the summer, I started giving tennis lessons at the Salt Lake Tennis Club to a Professor of Physiology from the Utah Medical School. One thing led to another and he asked me to be his lab assistant in his research lab. After finishing my Master’s program, he then asked me to go to North Carolina to assist him in his lab. He became the chairman of the Department of Physiology at UNC-Chapel Hill. Working for him allowed me to get my Ph.D. in Zoology. He has continued to be my mentor up until almost today. Basically, being a tennis player and having played tennis for Utah provided a pathway to my professional career as a university researcher and educator. Question: What are some of your greatest achievements since graduation? My wife and I have been very fortunate to have continued good health after retirement, which allows us to enjoy all of the outdoor activities that Park City has to offer. We will continue to enjoy the outdoor activities (and tennis for me) as long as possible. We will be traveling frequently to visit our children and grandchildren in Seattle, Denver and New Hampshire and I will continue my volunteer work at the Swaner Ecocenter here is Park City. As an adjunct faculty member in the Department of Anesthesiology in the Utah medical school, I will continue to do research with a colleague of mine who is investigating how we experience fatigue. Of course, I will continue to run 5 and 10 K road races with a possible half-marathon thrown in.